I start another new series. It will be about sizes. 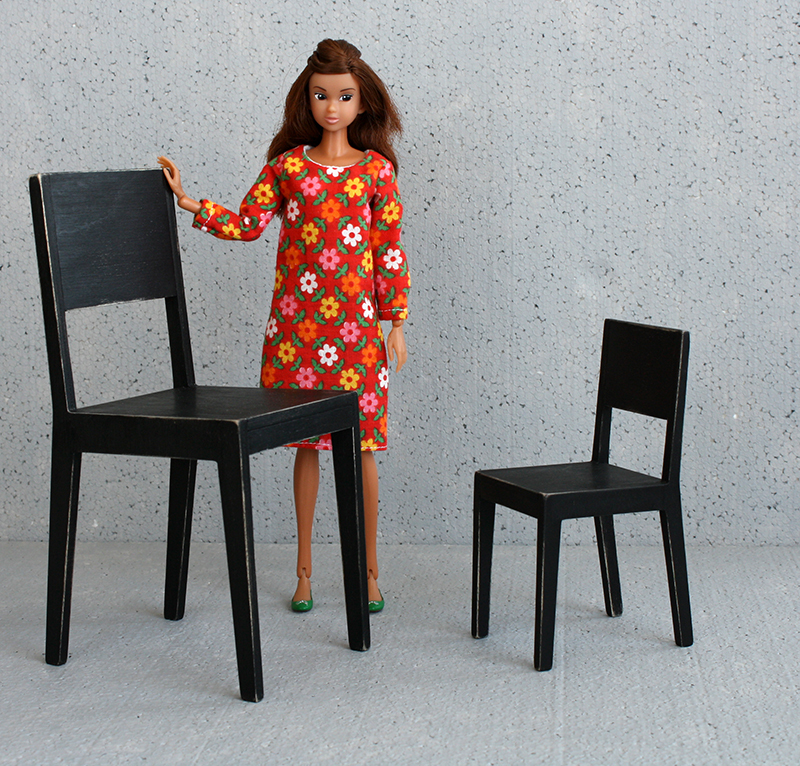 I sometimes take photos of my dolls with furniture from different scale. 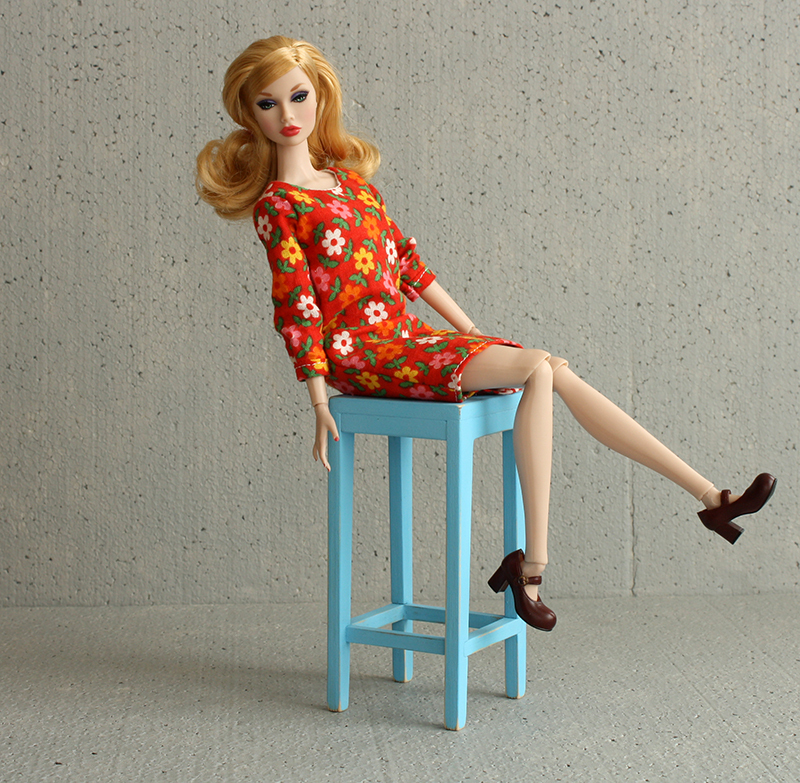 The dolls are a little confused but I have fun. Furniture pieces used in this post: bench 406-01 (1/4 scale), white chair 401-06 (1/4), black chair 401-01 (1/4), black chair 601-02 (1/6) and blue stool 403-01 (1/4). 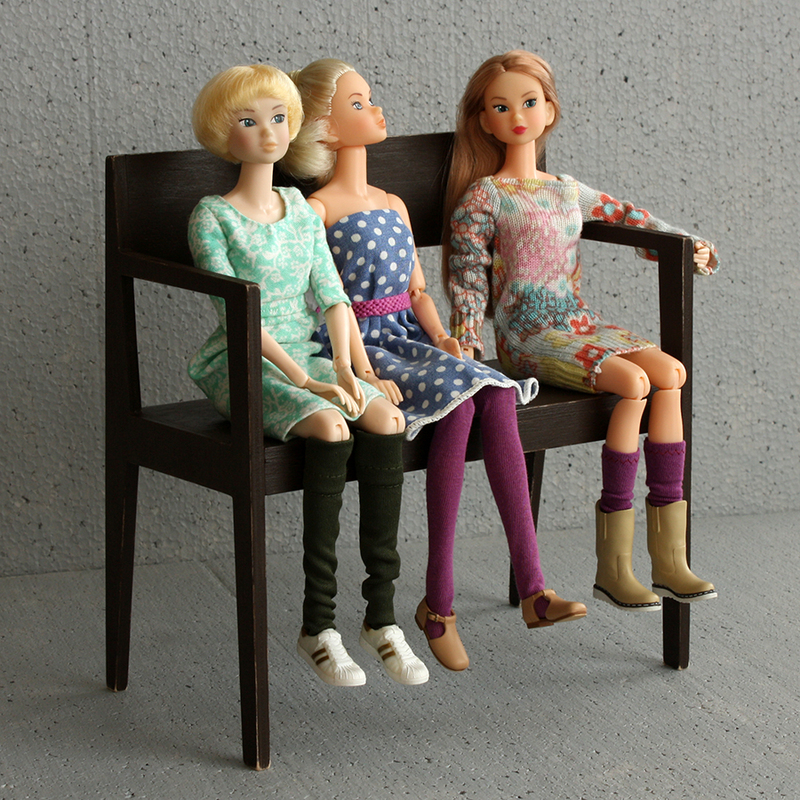 You dolls are verry pretty, the photos looks fun.